Located south of Toorak Road in the area between Punt Road and Chapel Street and curving northwards from Fawkner Street towards Toorak Road picturesque Davis Avenue was part of one of the earliest subdivisions in the western section of the Prahran Municipality. Drainage was an issue in the area and in 1884 before this was rectified and development could really begin. Owned by Peter Davis, the lots were subdivided and were originally advertised as small farm allotments. The landscape was more than suitable for housing and as such some of the land was once again subdivided to create smaller and cheaper housing many of which were to be occupied by local artisans and their families. 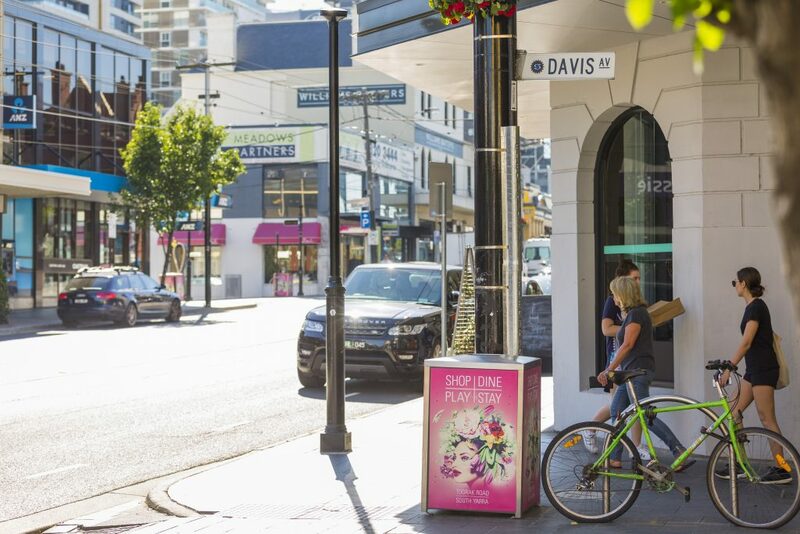 Davis Avenue is predominantly made up of semi-detached terraces, villas and terraces with a number of shops at the Toorak Road entrance. The architecture on Davis Avenue is representative of an important part in the development of Prahran in the nineteenth century. 55 Davis Avenue which formerly housed a double-fronted Victorian set on 533-square-metres has been developed into eight apartments and two half-floor penthouses. 52 Davis Avenue – “Her Majesty’s Hotel” has recently been developed into Her Majesty’s Apartments. Located on the corner of Toorak Road and what was then Great Davis Avenue, the hotel was originally known as the Royal Standard. A succession of name changes ensued before the hotel was rebuilt 20 years later and renamed “Her Majesty’s Hotel” to celebrate the golden jubilee of Queen Victoria.